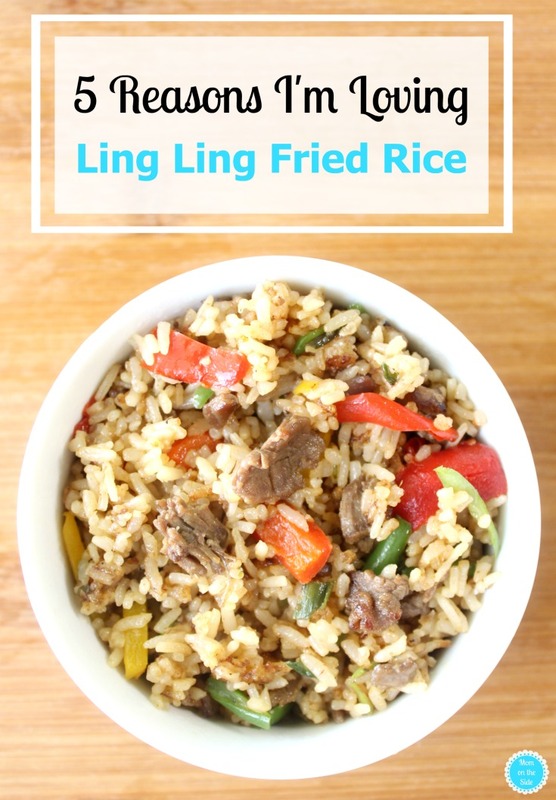 This post on 5 Reasons I’m Loving Ling Ling Fried Rice is sponsored by Ling Ling. All opinions and love for Ling Ling expressed in my post are my own. Read on to see what there is to love and enter for the chance to WIN 1 of 10 $100 Walmart Gift Cards! When it comes dinner, I need quick and easy most nights of the week. Between dance classes, basketball practices, and school events dinner needs to be all said and done within 30 minutes. 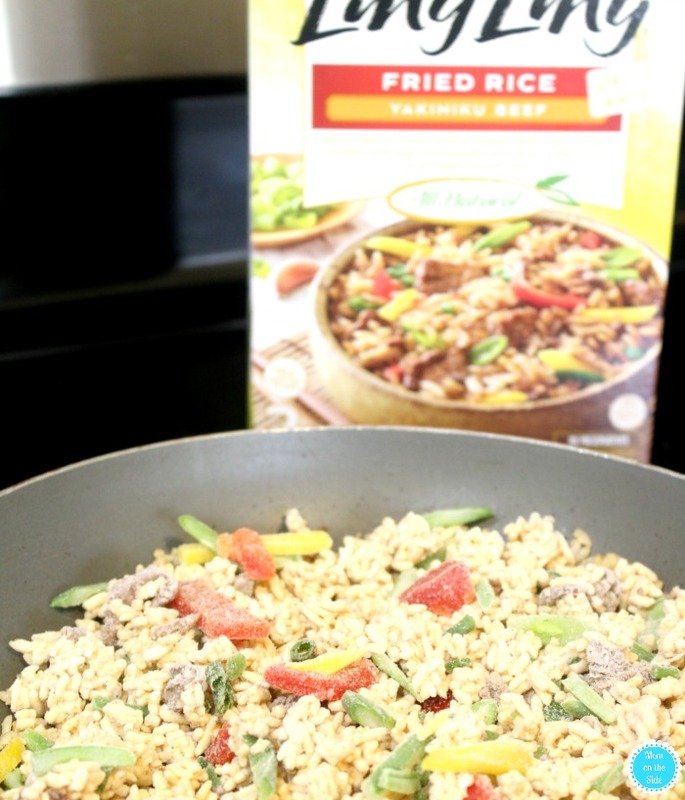 Ling Ling Fried Rice helps make that happen and can be cooked on the stove or in the microwave when you’re really pinched for time. The best part? No matter how you cook it #2 is always the result. So far I’ve tried three different kinds of Ling Ling Fried Rice and each one is delicious in its own way! From pineapple in the Thai-Style Chicken that tasted SO fresh to the flavorful Yakitori Chicken, Ling Ling delivers superior flavor and exceptional taste because of their Infusion Cooking Method. If you’re not familiar with Infusion Cooking, it means each grain of rice and noodle is infused with Ling Ling signature sauces for incredible flavor in every bite. Dinner won’t get boring with the assortment of varieties offered by Ling Ling. 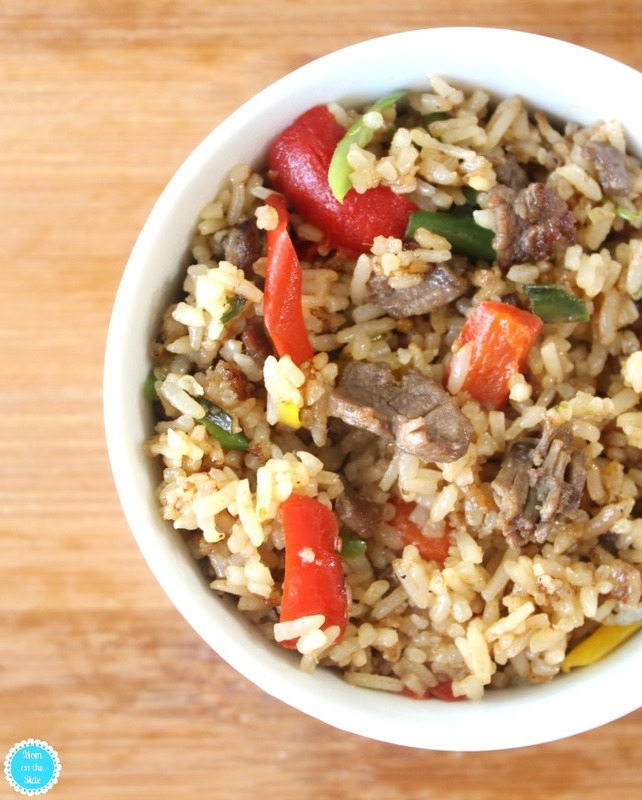 Chicken, beef, and vegetable fried rice in five unique dishes all based on pure and authentic Asian inspired recipes from Japan, China, Korea and Thailand. Having four kids, we don’t eat out often for a few reasons. Finding a restaurant that works for ages 4-37 can be a challenge, and how expensive it can be. We use to frequent a local Chinese restaurant because fried rice is something all six of us like, but they went downhill a few years ago. 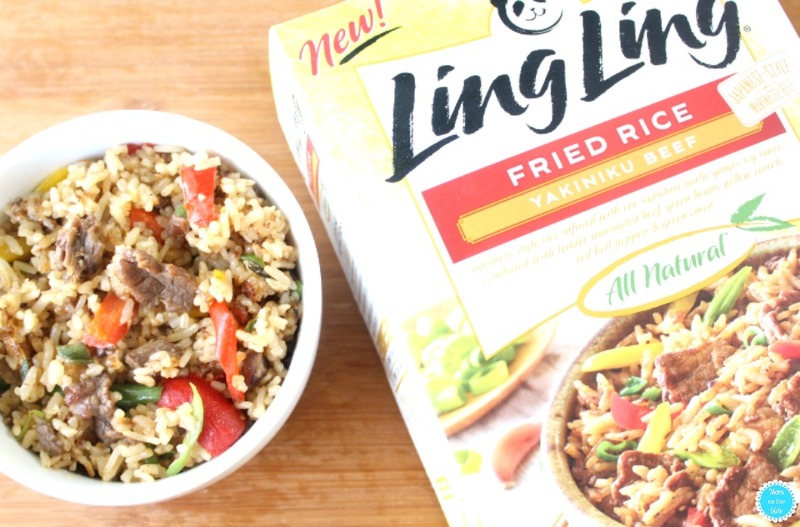 After finding Ling Ling in the freezer aisle, I’m getting a better restaurant-style meal at home than we got there. You may not be able to taste the difference between their newest Asian Entrees, Ling Ling Noodles and Dumplings and your restaurant favorites. We’re talking Chicken Yakisoba and Drunken Noodles as well as Chicken Dumplings in Chili Sauce and Pork Dumplings in Chili Sauce. With flavors like that, your family can enjoy a complete meal based on authentic Asian inspired recipes from across the region. The only thing better than a delicious meal is saving on said meal. You can do just that with a Ling Ling Coupon for $2 off a box of Ling Ling Fried Rice, Noodles or Dumplings at any retailer where the products are sold! Check the Ling Ling Fried Rice Store Locator to find the nearest location. Thanks to Ling Ling, you have to chance to WIN 1 of 10 $100 Walmart Gift Cards between now and November 20th! Simply enter below and I-C will randomly select winners from all program entries and will facilitate fulfillment of the winning prizes (10)! Good luck!